Remember Yashwina? She was the youngest bookseller on our staff until last year, when she up and left us to go off to college in England. We are delighted to report that she’s fitting right in at Oxford, making lots of friends, and, of course, working very hard. (“I finished my first exams, and I didn’t die,” she says.) As usual, she still finds time to squeeze in some fun-reading whenever she can, including the latest from Samantha Shannon — the young literary star who graduated from Oxford just a year before Yashwina got there. I enjoy her books because of her world-building. The landscape is an interesting fusion of futuristic dystopia and Victorian city life. Plus, her theories of dreamscapes are a really cool and visually pretty way of considering individual minds. The fact that she’s able to pair those influences with an action plot is really cool. When we decided to talk to Samantha Shannon for Musing, we knew just the gal for the job. Here is Yashwina’s interview with the author. Congratulations on the release of your second novel! It’s so exciting to see young authors getting such well-deserved recognition. Since the publication of The Bone Season, what has surprised you the most about the publishing community? SS: Thank you! I think the aspect of publishing that’s surprised me most is the sheer number of people involved in bringing just one book to the shelves. Standing on the outside, it’s easy to imagine that the author just hands the manuscript over for a quick edit, and then it’s printed and bound. You have the author, the commissioning editor, the editor, the publicity and marketing teams, the cover designers, illustrators, copyeditors, proofreaders, printers, typesetters – the list is enormous. 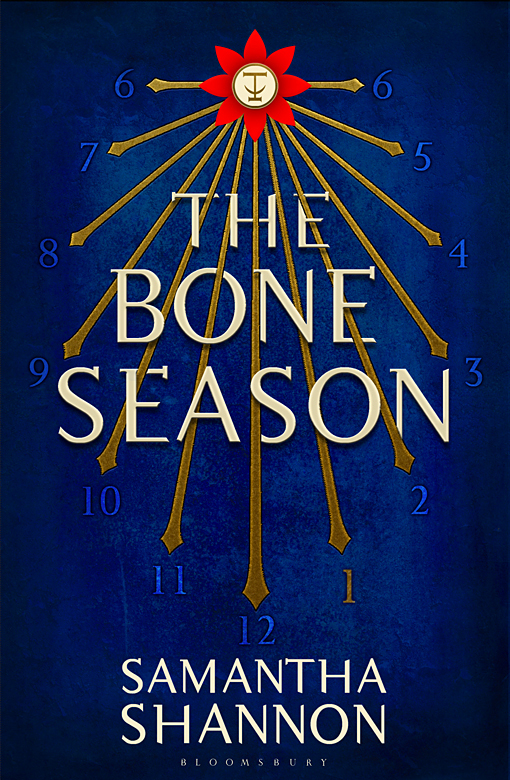 Part of what’s made The Bone Season such a phenomenon is the liveliness of its characters. Which fictional characters influenced you most when you were growing up? SS: The characters from Harry Potter were always favourites of mine. JK Rowling managed to create such an enormous cast, but still make each person so memorable and endearing, even down to very minor characters. Isaac Asimov’s robots have long since fascinated me, too, along with many of the Brontë sisters’ creations. The Bone Season really took off while you were still a student at St. Anne’s College, Oxford. How did your success impact your life as a student? SS: It had a huge impact. I’ve always been good at managing my time, but I had to drink significantly more coffee than I did in my first year . . . Many a morning found me in the college coffee shop, riddled with caffeine, poring over my edits or notes for an essay. I missed my last group study session before my Finals, as I had to fly to New York for an interview. The students and staff at St Anne’s were all incredibly supportive, despite the fact that my attention wasn’t always on my studies, and I’m very grateful for that. Beyond schoolwork and writing, you’ve also maintained an involved social media presence, blogging about the publication process at A Book from the Beginning and interacting with fans via Tumblr. How do you think social media has impacted the book world? SS: I think it’s great. Authors are a lot more accessible now than they used to be, and it’s much easier for us to interact with readers from all over the world. I love being able to hear responses from my readers first-hand, and I hope that my blog, which I first set up as a resource for aspiring writers, has been helpful to people who are wondering what publishing a book is really like. In addition to the release of The Mime Order, you also recently optioned the movie rights to The Bone Season. Any behind-the-scenes information you can share? SS: The Imaginarium Studios originally optioned the rights in 2012, and they’ve now teamed up with 20th Century Fox and Chernin Entertainment, the studio team behind the new Planet of the Apes franchise, to make it. We’ve got a double Oscar-nominated screenwriter on board, who is in the process of writing the screenplay. I can’t say who it is yet, but I’ve met him and I’m confident that he’ll do a great job of adapting the book for the big screen. The world you’ve created includes an original twist on ideas of magic and clairvoyance. If you were a Voyant, which category of voyant would you consider yourself? SS: A bibliomancer or a psychographer. Bibliomancers connect with the spirit world through reading and value books above all other objects. Psychographers are a kind of medium. They frequently become possessed by the spirits of writers – known as muses – and write in a frenzy, often for hours at a time, until the possession is over. I think the idea of being “possessed” by the muse, desperately needing to write a particular scene or story, is one with which many writers will be familiar. And finally: which books have you read lately that you really enjoyed? SS: Station Eleven by Emily St. John Mandel was probably my favourite of 2014. I thought it was a brilliant, beautiful take on the post-apocalyptic genre. I also loved Heir of Fire by Sarah J. Maas (third in the Throne of Glass series) and The Girl With all the Gifts by M. R. Carey. More recently, I’ve read The Key by Sara B. Elfgren and Mats Strandberg, The Art of Being Normal by Lisa Williamson and The Spider King’s Daughter by Chibundu Onuzo. For more with Shannon, check out this great interview with our friends at Chapter 16. To keep up with Yashwina, follow along at her school newspaper, The Oxford Student, where she has most recently written about — what else? — independent bookstores. 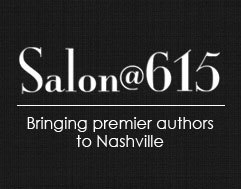 Meet Samantha Shannon on Tuesday, February 10, at 6:15 p.m. at the downtown library as part of the Salon@615 series — a unique partnership among the Nashville Public Library, Humanities Tennessee, Parnassus Books, and the Nashville Public Library Foundation. Note: This is a ticketed event. Reserve your ticket online or show up early to the event to get tickets onsite.